Sunshine and clear skies probably isn’t the first image that comes to mind when you think of Maine. It’s one of the cloudiest and rainiest states in the U.S., and only Alaska is further north. In 2014, its governor vetoed a bill to promote community-based solar projects in the state. Things weren’t looking good for the Pine Tree State. Fortunately, this veto was overridden by the House, who voted 107-40 in favor of new renewable energy procedures to be followed by the Public Utilities Commission. 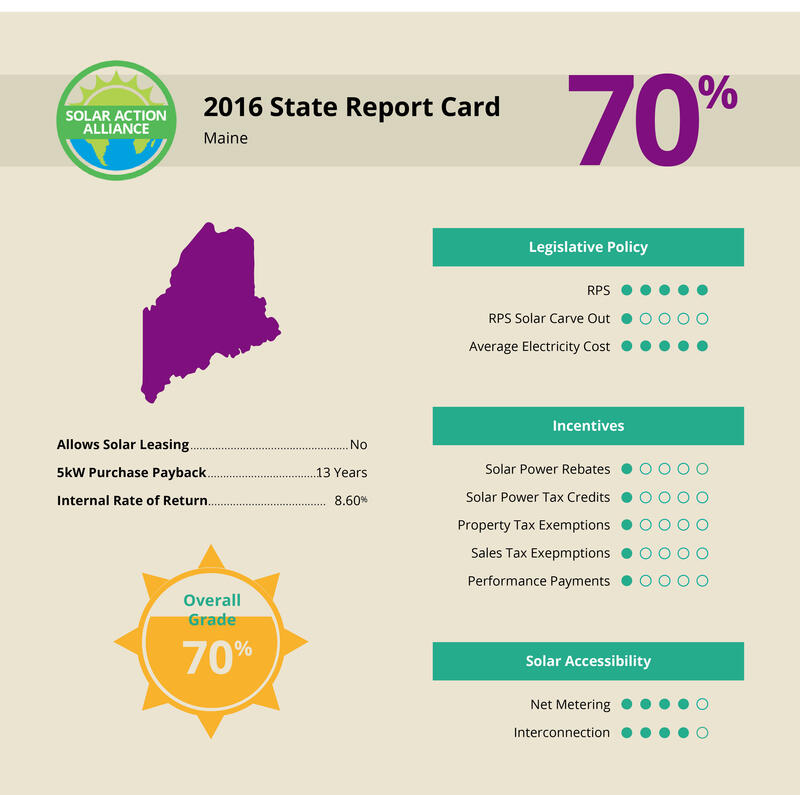 The state also benefits from relatively low electricity costs, net metering, interconnection, and a good Renewable Portfolio Standard (RPS, see below for details). This is somewhat diminished by a complete lack of tax credits or rebates provided by the state, but the House’s actions seem to indicate that will change in the future. 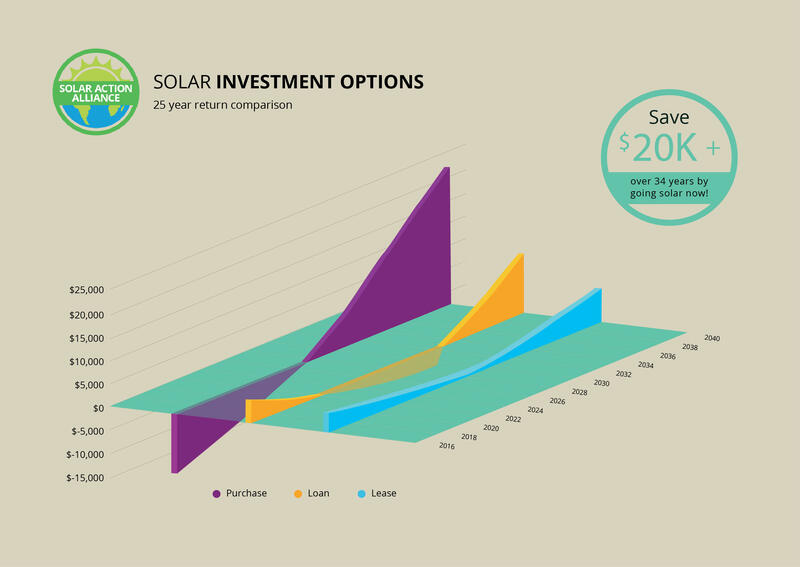 The above illustrates the costs and benefits of three methods of purchases over the 25-year life cycle of a solar panel installation. You’ll notice the disparity between the cost of buying a solar installation outright compared to its benefits. This method has the highest upfront costs, but the profits from saving over its lifetime could be enough to purchase an entirely new system when it gives out. 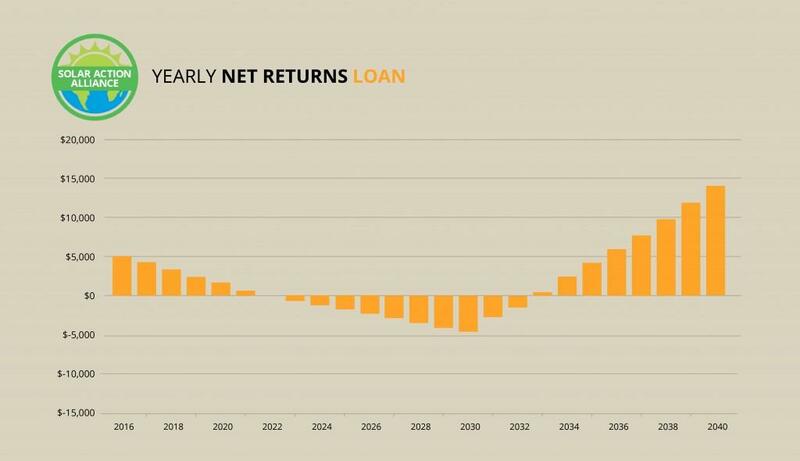 Since leasing isn’t available in the state of Maine, we have replaced the leasing option in this graph and subsequent paragraphs with a small installation, which is safer in terms of upfront financing, but has less upside. Purchasing with a home equity line of credit loan (HELOC) is always a viable option, with low upfront risk and relatively low returns. Buying solar panels in Maine is as expensive upfront as it is most anywhere else, but don’t let that initial cost discourage you. After federal tax exemptions and savings, that number will dwindle down to a figure that’s much more reasonable. First, assume the cost of a new installation is around $20,000, as indicated in the graph above. Factoring the 30% federal tax exemption, which can be split over two years if you don’t owe that much, and the initial upfront costs weigh in at less than $14,000. Because of Maine’s high electricity costs, the annual savings are a bit higher than most other states. The estimated $930 savings off the first year brings that number down to about $13,000. 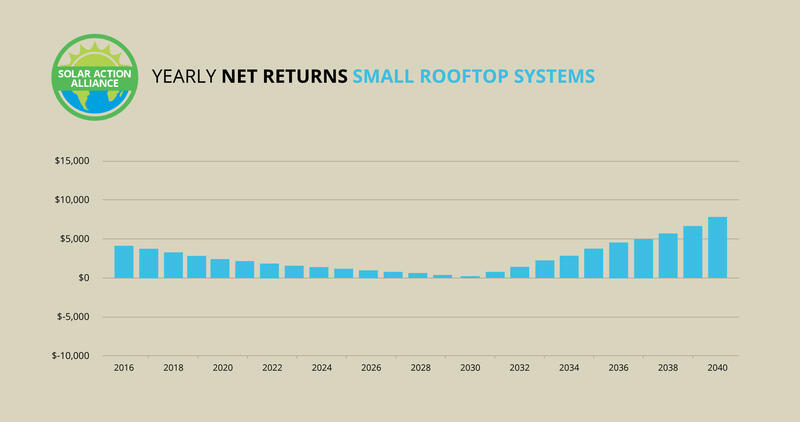 After the system pays for itself after 14 years, the per-year savings based on the expected increase in electric cost of about 3.5%, you’re looking at $18-20,000 in returns. That’s enough to purchase an entirely new system! A smaller installation may be the way for those who don’t have the funds on hand to finance a larger one. The Federal tax exemption of 30% still applies, and with the savings derived from Maine’s high electricity, you’ll see higher average returns than most other states. Observe the graph above, which is based on an $8,000 solar system that produces 2 kilowatts of energy compared to the above system’s 5 kilowatts. You’d see less savings, but you’d pay less upfront. 30% off of the initial cost is about $2,440, so that brings the initial cost down to around $5,560. That’s certainly doable, and the annual savings of about $400 can take even more. If you go the loan route for a small solar panel installation, you’ll end up paying back only $25 per month after the electricity savings factor in. After the loan is paid off, all that money goes into your pocket, and the system can earn up to $7,000 over the remaining 11-12 years of your system’s life cycle. 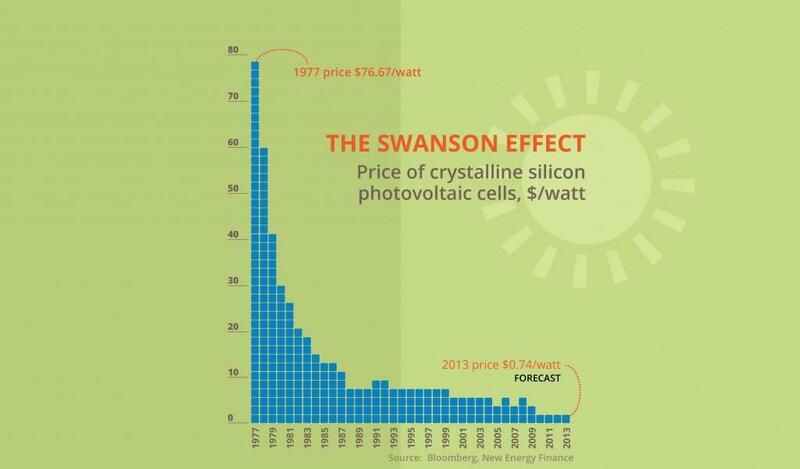 Like buying a larger installation, the savings would be enough to do it all again after 25 years. If you’ve got some equity earned on your home, you may qualify for a home equity line-of-credit (HELOC) loan that takes away the upfront costs and allows you to pay back the lender over time instead of paying for the solar system upfront. This is the most viable option for people who don’t have thousands of dollars on hand. It starts with a 0-down payment, and continues with the Federal tax credit of 30%, which still applies to this purchase despite it costing nothing upfront. Savings on electric cost will further offset the cost of the loan payment, leaving you will only around $650 to pay per year for the loan’s repayment period. 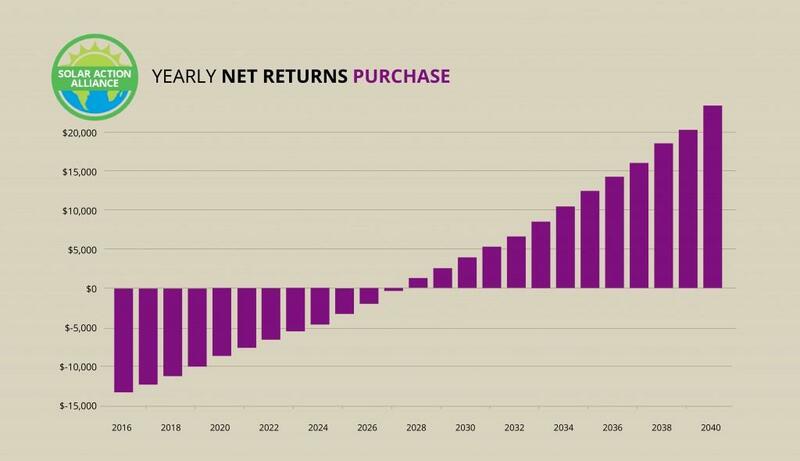 After about 15 years, the loan is paid off and you’ll start to see the same returns as someone who bought the system outright. Factor in the $1,000 or more in savings over the last ten years of the system’s life, and you end up with a nice return of over $10,000 in savings over the system’s life. For an investment that cost nothing upfront, this is a huge win! 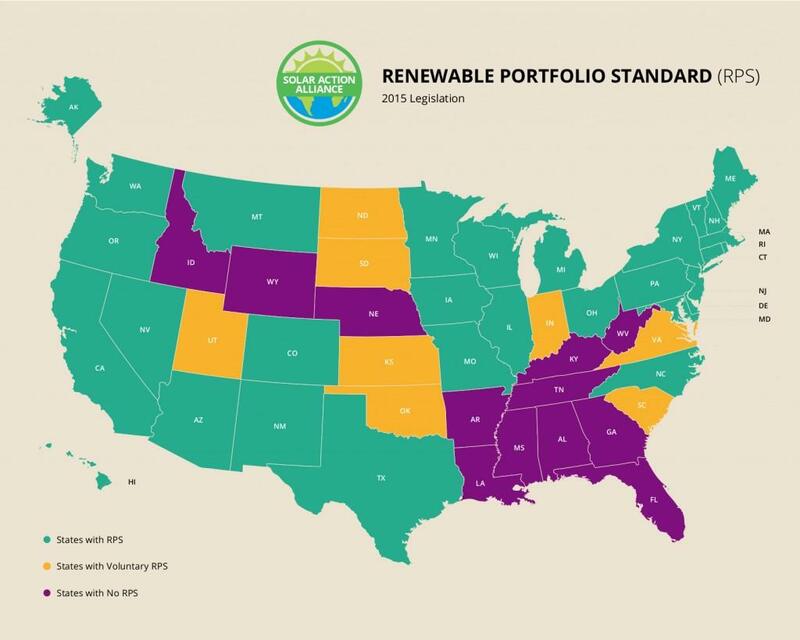 A Renewable Portfolio Standard (RPS), also known as a Renewable Electricity Standard (RES), is a mandate that regulates a specified increase in the production of energy from renewable sources like solar, wind, and biomass. The purpose is to encourage utility companies to supplement their non-renewable provisions with ones that are better for the planet. Maine has one of the more aggressive RPS strategies in the country. Their mandate that 40% of electric sales come from renewable sources is strong, and the 2017 deadline imposed on these changes exemplify a serious short-term intent. The state also employs a 10% requirement for resources installed after 2005, which eliminates some non-renewable resources. Currently at 5%, this rate will rise by 1 percent every year until it reaches the goal. Maine’s RPS is vital in offsetting their lack of tax incentives. Despite its lack of state tax incentives and rebates, Maine’s strong policies regarding solar energy place it near the top half of U.S. states. A stronger state backing might push the state into the upper half, but the old-fashioned incumbent legislature is a bit prohibitive. The House’s stance in opposition to the governor’s policy regarding renewable energy may be negative for his future re-election campaigns, but it’s a good sign for those looking to take advantage of the solar panel market.